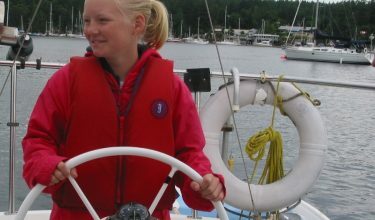 ASK US HOW YOU CAN ALSO COMPLETE YOUR IYT; INTERNATIONAL CERTIFICATE OF COMPETENCY, REQUIRED TO SAIL IN EUROPE AND THE MEDITERRANEAN! Desolation Sound Provincial Park is known as the most beautiful cruising ground in British Columbia and rated as one of the premier sailing areas in the world. This unforgettable Marine Park is the largest in BC. 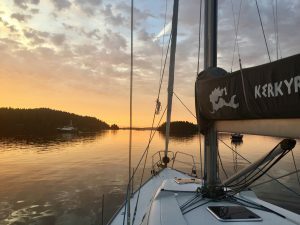 Advance your sailing skills, both day and night sailing, navigate and cruise in all weather to the most spectacular sailing area that BC has to offer. 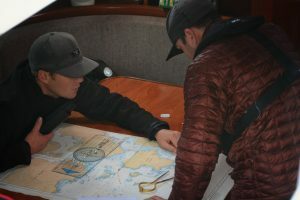 Applied the knowledge and practised the skills in the Intermediate /Day Skipper Cruising and Coastal Navigation standards.